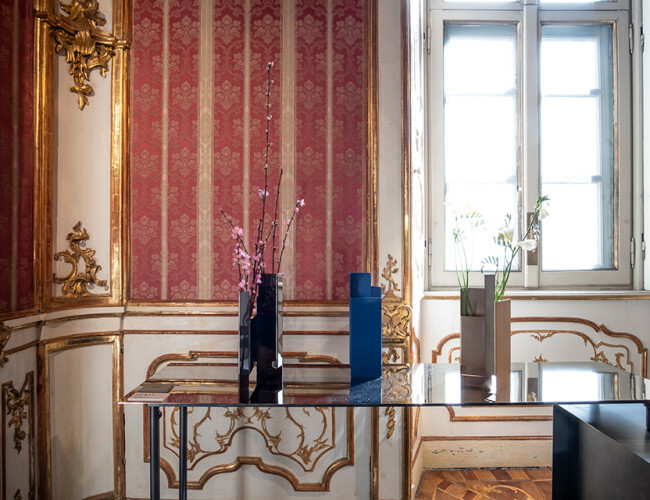 Mason Editions presents a collection of lighting, furnishings and accessories in Palazzo Litta’s elegant “Studio del Marchese”. 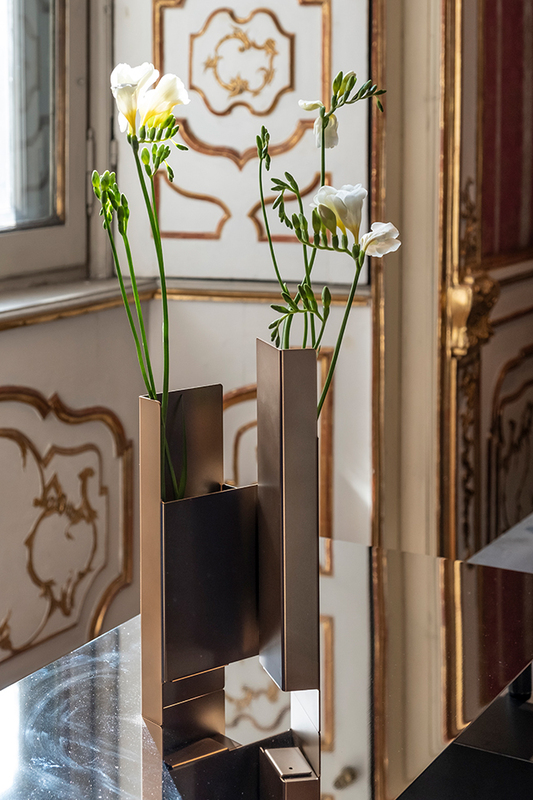 The exhibition includes both new designs and some of the most iconic pieces of Mason Editions’ first collection presented in a range of new finishes. 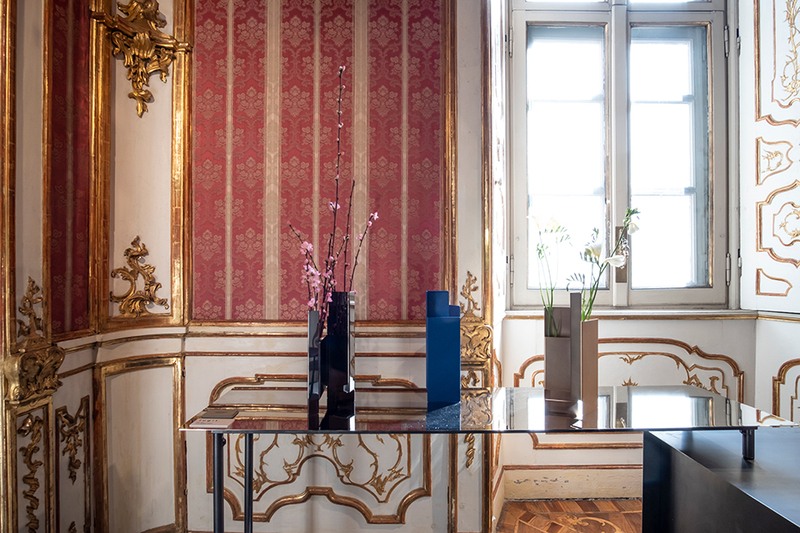 All the pieces are 100% designed and made in Italy and are characterized by their iconic forms, unique combination of materials, and exquisite craftsmanship. 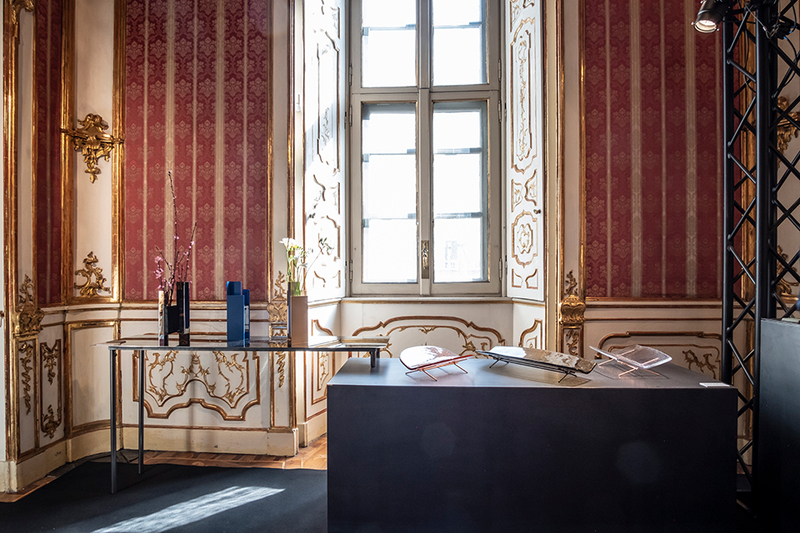 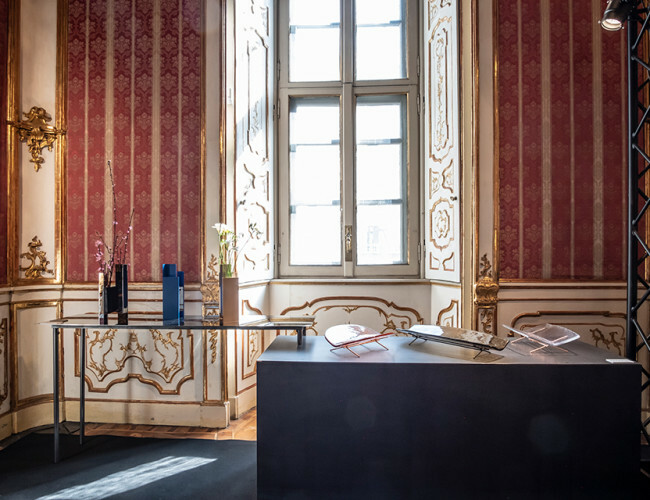 For Palazzo Litta the art director of Mason Editions, Matteo Fiorini, has designed an installation with rigorous, minimal volumes, where each single object takes the centre of its own dedicated stage. 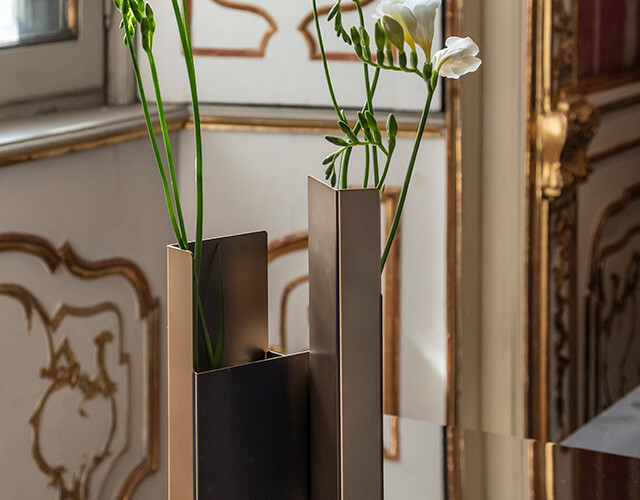 Among the stars of this show are TOUCHÉ, the tray designed by Martina Bartoli, here presented in a brand new finish; a new version of Serena Confalonieri’s table lamp LOTUS debuts with a precious opaque copper base and white etched glass diffuser in the shape of a flower in bloom; Matteo Fiorini’s architectural vase FUGIT is presented in a new polished black nickel finish.